Horses And Horsepower Party Gets Even Better: APEX Cup To Debut At 8th Annual Bentley Scottsdale Polo Championships November 10th and 11th. The Apex Cup, courtesy of the new Apex Motor Club, is coming to the 8th Annual Bentley Scottsdale Polo Championships: Horses and Horsepower. It takes place November 10th and 11th at WestWorld of Scottsdale. The addition brings yet another horsepower element to this signature event which already includes a preview of the Barrett-Jackson Collector Car Auction as well as cars from the title sponsor, Bentley Scottsdale, and from numerous car clubs spanning the state. And for information on all ticket and tent options to “the best Polo event in the world” go to ThePoloParty.com. Located in the Town of Maricopa, The Apex Motor Club is a new 280-acre, $40 million development that will be the Valley’s first private automotive country club. Currently in the final planning stages and accepting members, Apex will include two racing circuits, numerous garage condominiums for car storage, a clubhouse, a multi-purpose building and amenities that define the horsepower lifestyle. For more information on Apex go to www.ApexMotorClub.com. 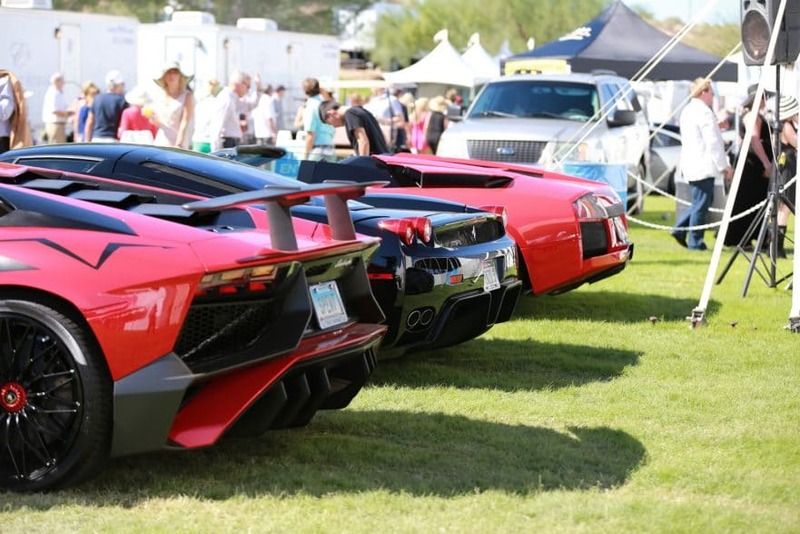 In addition to Barrett-Jackson and Bentley Scottsdale top cars will also come courtesy of car clubs such as Ferrari Club of Arizona, Porsche Club, Scottsdale Corvette Club, Rolls-Royce Club, AZ Lamborghini Club, Corvette Club of America, as well as cars of Apex members and dozens of other Arizona car owners. This year’s Bentley Scottsdale Polo Championships includes six matches over two days featuring some of the top players and teams in the country including a first-time appearance by Ralph Lauren model and world-famous polo player Nacho Figueras, courtesy of the Aspen Valley Polo Club. As in year’s past, ticketing options allow car lovers to spend the day parked field side. See a full list of the events and seating options at the www.ThePoloParty.com where all tickets, tables and tailgating for the 2018 event are now on sale.